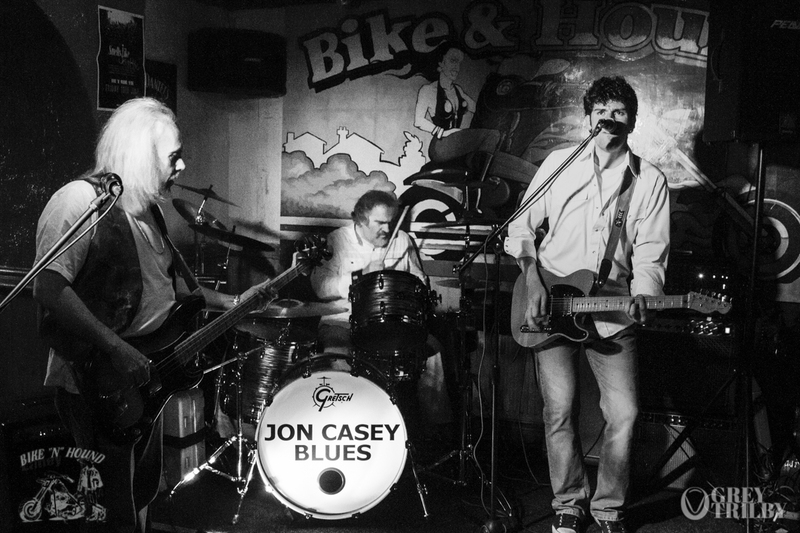 Jon Casey Blues is one of those bands that’s always a welcome change in the Bike’N’Hound. We’re not JUST about rock. Specialising also in good old fashioned blues, soul (and a smattering of rock too, it’d be rude not to), they are a renowned three-piece Blues/Rock Band with a playlist including Cream, Clapton, Gallagher, Mayall, Mayer, Moore and Bonnamassa. If you’re in the mood for some soulful, superbly played blues and rock, then look no further. Check out Jon Casey Blues next time they play the Bike. You won’t regret it!